How will Brexit affect your forthcoming trip to the UK? If you're coming from outside the EU, not a lot...for now. On June 23, 2016, the UK became the first country in the European Union to vote itself out. You've no doubt seen the headlines referring to the "Brexit" - that's shorthand for British Exit. Britain has been part of the EU for more than 40 years so the interlinked relationships - legal, financial, security and defense, agricultural, trade and more - are probably as twisted and entwined as neural pathways in the brain. It's going to take a long time to untangle them, probably longer than the two year countdown that begins when Britain formally declares it's leaving ("invokes Article 50" is the official phrase) - which, by the way had not yet happened at the time of this writing (July 9, 2016). Nor had the dust of the shocking "Leave" vote settled. If you've got dollars to spend, you're in the money, at least for now. The most immediate impact of Brexit was a sharp fall in the value of the pound sterling. In July 2016 it reached levels that had not been seen in more than 30 years and the slide - bringing the pound close to parity with the dollar - continues. In plain language, that means your dollars will go much further than they would have as little as a month ago. You can afford better hotels, a longer stay, nicer restaurants. If you are able to prepay for a UK vacation now that you'll take in the future, now is probably a good time to spend dollars on that as well. But, read the fine print because surcharges related to currency exchange could wipe out any savings. Complex factors mean different currencies find their own levels against each other. As the pound falls against the dollar, it is likely to fall against other currencies as well. If you don't have dollars to spend, check the value of your own currency to see what the impact will be. And, if you are considering a two-center vacation in Britain and Europe now is the time to take it. Though no one knows what kinds of settlements will be negotiated, the open-skies relationships between the UK and other EU countries will no doubt be affected. When that happens, cheap flights between Britain and Europe could end. But they haven't yet - so the advice for the 2016 vacation season is go now. Things That Won't Change Post-Brexit For Non-EU Citizens. Currency - The UK has never been part of the EuroZone (the area where Euros are the legal tender) so the currency remains the same, pounds sterling. If you have leftover Euros from a trip on the continent, you should still be able to exchange them for pounds sterling as normal. And those stores that deal with tourists will probably still accept them - though at a pretty poor rate of exchange. See Can I Spend Leftover Euros in the UK. Border Controls - The UK never joined the Schengen agreement, through which 26 European countries maintain open borders and visa-free travel. Entering the UK from any other country - except Ireland - has involved presentation of passports and visa regulations have applied for people coming from non-EU countries. North Americans and others from outside the EU won't experience any change in this. Many Brits who supported the successful "Leave" campaign are now boasting "We've got our borders back." This is actually a pretty pointless and empty boast since the UK has always had enforced borders. Pet Travel - Though pets that qualified for EU Pet Passports have been able to travel freely within the EU, other regulations applied to pets coming into the UK from North America and elsewhere in the world. Dogs, cats, and ferrets with the appropriate inoculations and papers have been able to enter the UK from "Listed" countries outside of Europe without a quarantine period. That is unlikely to change although some of the required paperwork may change in the future. And bringing a pet from a listed country to the UK through Europe may also involve new paperwork and regulations in the future. Find out more about the PET Travel Scheme as it applies to non-EU countries. Duty-Free Allowances - The actual allowances for duty-free purchases change from time to time, but if you are traveling from the UK to a country outside the EU you have always been able to shop duty-free. That is not likely to change. What might change in the future, however, is the kind of duty-free shopping available. Right now, while the UK is still in the EU, there is no duty-free shopping between the UK and Europe ( goods travel freely, as duty paid). That will change, subject to Brexit negotiations, at which time leaving the UK for a European country may enable visitors to shop duty-free in that direction once again. Visa requirements for EU citizens This is one of the issues that will eventually be negotiated and no one yet knows what form they will take. As an incoming tourist, you may find the lines at immigration and passport control will be longer since EU citizens won't be going through the same channel as British passport holders. But that is a while in the future and won't effect your 2016 travel plans. The Irish Border - One of the issues that led to Brexit was the European requirement for free movement of workers between countries. For the most part, new border controls won't have an impact on your travels with one exception. The Republic of Ireland is in the EU. It has an open border with Northern Ireland (part of the UK and leaving the EU). That open border may have new border controls imposed on it in the future with an impact on the Good Friday Agreement that has brought peace to the area. VAT - VAT is a European sales tax that visitors from outside the EU can reclaim when they leave. Once Brexit is complete, the UK won't have to impose VAT. But they may impose their own sales taxes on goods. No one knows if that will happen, if it does how much it will be and whether you will be able to reclaim it. If you are traveling in 2016, you can still reclaim VAT. The result of the Brexit referendum was very close leaving a very large, unhappy minority of 48% of those who voted. More young people voted to stay in the EU, more older people voted to leave. At the moment, the atmosphere in the UK ranges from jubilant to devastated and angry. Europeans are worried that they may have to go home to their own countries after years of living in the UK. Hundreds of thousands of Brits who have retired to European countries are worried they will have to return to Britain. If ever there was a time when striking up a conversation about politics was inappropriate it's now. Unless you really know what you are talking about, don't offer your own opinions on Brexit - just listen. If you don't, you might get an earful of negative opinion about how things are going in your own country. 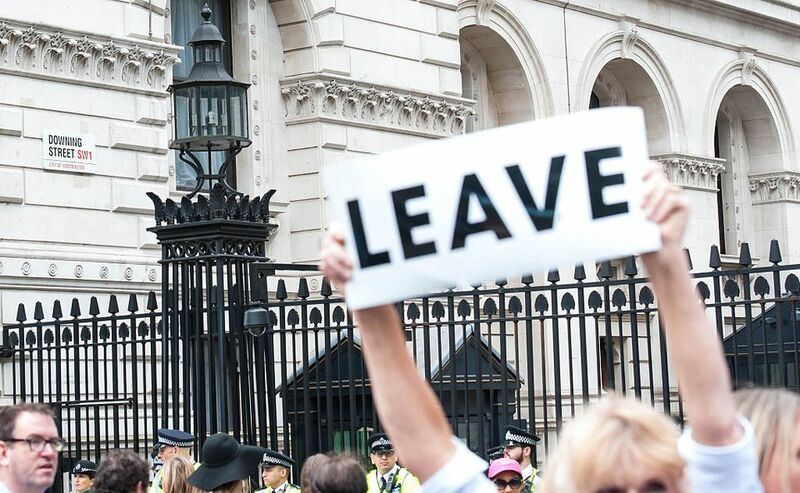 Sadly, the victory of the "Leave" campaign has emboldened a small but highly vocal minority of xenophobes and racists who suddenly feel empowered. On July 8, 2016, the Independent reported police statistics showing a 42% increase in hate crimes in England and Wales since the Brexit result. These crimes and attitudes are still relatively rare in the UK. But, if you are a member of an ethnic minority or you speak English with a heavy accent, it's just a good idea to be mindful.